On her 2016 Memphis Rock and Soul album, Melissa Etheridge pays tribute to the legendary Stax Records, covering classic songs like the Staple Singers' "Respect Yourself." 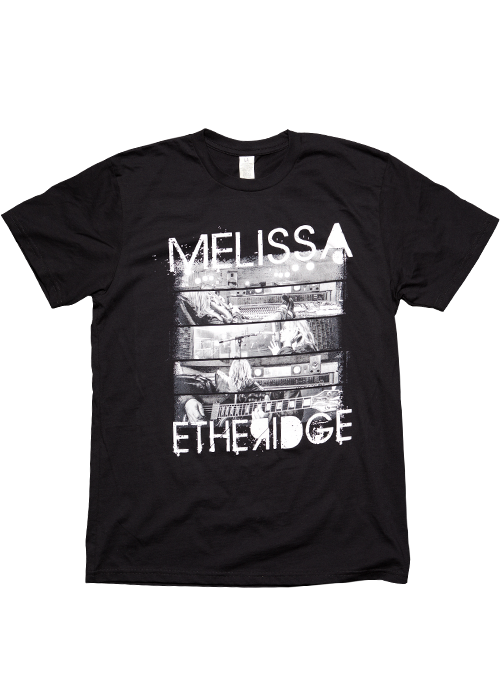 This unisex black cotton tee features photos of the musician in Willie Mitchell's historic Royal Studios, where she recorded the album. Her iconic ME logo is printed on the back neck.